Balton Rwanda providing large scale greenhouses, dam liners, shade nets, growing media, tools and more at the highest possible level. 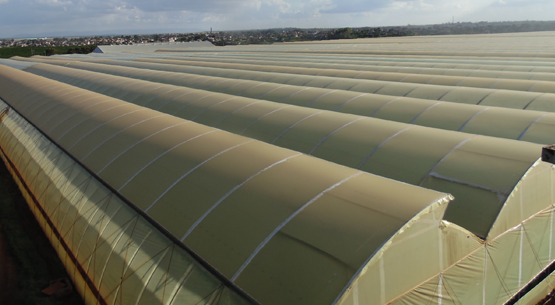 Throughout Africa Balton Rwanda works closely with some of the continent's largest growers providing large scale greenhouses, dam liners, shade nets, growing media, tools and more at the highest possible level. From large scale irrigation projects to farms growing a variety of crops for export, we ensure that only the best computerized irrigation and fertigation equipment are properly installed to serve our clients, coupled with training and capacity building of our partner’s staff ensuring that all technologies are used properly and achieve maximum efficiency.